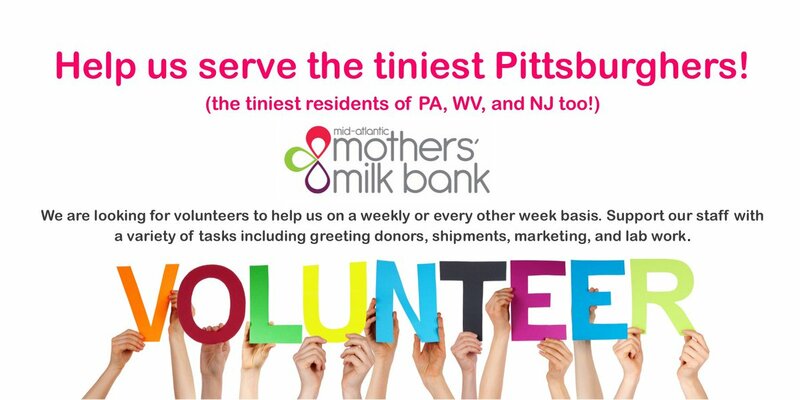 NEXTpittsburgh – Val Lee was the first donor at the newly opened Three Rivers Mothers’ Milk Bank on Penn Avenue and attended their recent Grand Opening. Accompanying her was her husband, Ben Lee. The young couple from Cranberry lost their baby, Ashton, shortly after birth and Val decided to donate her breast milk. To commemorate her donation, the artist who painted the cheerful mural of flowers and trees along the center’s main hallway added initials as if carved on the birch tree: AL for baby Ashton Lee. Maria Wills was the artist and also, most appropriately, a doula and a mother of eight. The mural is just one vibrant element in a welcoming center that is full of them, with brightly painted spring green and pastel pink walls and inviting meeting rooms. At the Grand Opening, Executive Director Denise O’Connor and her staff gave tours of the spacious facility which features a room for freezers for holding donated raw milk and a pasteurizing room for processing it. Three Rivers Milk Bank, now fully opened and operational, is the first milk bank in Pennsylvania. Donors are screened and once approved, they can pump milk at home and bring it to the bank where it is pasteurized to remove pathogens. The process will not destroy the properties of the milk that provide key immunological benefits for babies. For babies in need, the milk can be lifesaving, notes O’Connor. The milk bank is located in a renovated warehouse just east of the Strip District near The Midwife Center. The Three Rivers Mothers’ Milk Bank raised more than $760,000 from Pittsburgh businesses and foundations, including $11,000 in an Indiegogo crowdfunding campaign.